Gadolinium, a contrast dye used with patients undergoing magnetic resonance imaging (MRI) and magnetic resonance angiography (MRA)s, has been linked to serious adverse effects such as gadolinium deposition disease. Since its approval in 1988, gadolinium has been found to accumulate within the cerebrospinal fluid and other parts of the body: According to FDA reports, a single injection of gadolinium could potentially result in the development of Nephrogenic Systemic Fibrosis (NSF) / Nephrogenic Fibrosing Dermopathy (NFD). Hundreds of MRI lawsuits have been filed, claiming gadolinium manufacturers hid the risks of MRI kidney damage from the public. 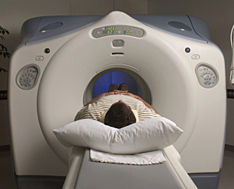 Send your MRI Health Risk claim to a lawyer who will review your claim at NO COST or obligation. Gadolinium is a rare-earth metal; a clear, non-radioactive chemical compound used with patients undergoing MRI -- magnetic resonance imaging. MRI is a non-invasive diagnostic procedure that enables physicians to visualize internal organs through magnetic interactions and magnetic resonance angiography (MRA). The use of gadolinium during an MRI or MRA improves the visibility of internal structures. In most patients with kidney insufficiency, the kidneys eliminate gadolinium from the body after it is used as a contrast agent for MRIs. But recent studies have shown that deposits of gadolinium may remain in the brain and other parts of the body, even in patients with normal kidney function. Nephrogenic Systemic Fibrosis (NSF) or Nephrogenic Fibrosing Dermopathy (NFD) is a man-made disease that was first recognized in 1997. The cause was unknown until recently: it has been attributed to current gadolinium-based contrast agents used in MRI procedures in patients with kidney failure. Since 1997, hundreds of NSF/NFD cases have been reported to the NFD Registry. This debilitating and sometimes fatal disease causes discoloration and thickening or tightening of the skin and connective tissues that inhibits the ability to move and may result in broken bones. It causes muscle weakness and difficulty bending joints, which can lead to scarring of internal organs that inhibit their ability to function properly. In 2006, The U.S. Food and Drug Administration (FDA) acknowledged that there were 200 reports worldwide of NSF/NFD due to patients exposed to various gadolinium- based contrast agents. The report conceded many of these were serious and some fatal. If a patient experiences one or more of these symptoms, they may have developed gadolinium toxicity or poisoning. Testing for retained gadolinium is the next step in determining whether the symptoms due to the gadolinium contrast agent used for the MRI or MRA. There are two types of tests which might be used: 24-hour urine gadolinium test; and heavy metal testing using blood, hair or nail samples, or urine. In 2007 the FDA asked the manufacturers of gadolinium-based contrast agents to issue a black box warning. The label now warns patients with severe kidney insufficiency who receive gadolinium-based agents that they are at risk for developing NSF/NFD. As well, the label states that patients just before or just after liver transplantation, or those with chronic liver disease, are also at risk for developing NSF if they are experiencing kidney insufficiency of any severity. The FDA in December, 2017 published a new MedWatch Alert, requiring a new class warning and other safety measures for all gadolinium-based contrast agents (GBCAs) for magnetic resonance imaging (MRI) concerning gadolinium remaining in patients’ bodies, including the brain, for months to years after receiving these drugs. Two studies led to the FDA’s 2015 investigation, both documenting the presence of gadolinium deposits in the brains of individuals who have undergone multiple MRIs. In the journal Radiology, (June, 2015) researchers at the Mayo Clinic found that patients who had been exposed to gadolinium multiple times showed traces of the contrast agent in their brain tissue, and levels of gadolinium in these brains corresponded to the number of MRIs the patients had undergone. The second study, published in Investigative Radiology, found that laboratory rats had high levels of gadolinium in their brains as well as MRI abnormalities believed to be linked to the contrast agent. A more recent study published in Radiology strongly suggests that some types of contrast dyes used in MRI exams may remain in the brain for years. The authors found that gadolinium accumulates within the cerebrospinal fluid of patients exposed to gadobutrol, and that accumulation was observed in patients with normal renal function and intact blood-brain barriers. Five gadolinium-based contrast agents have been approved for use in the United States: Magnevist (gadopentetate dimeglumine), Ominiscan (gadodiamide); OptiMARK (gadoversetamide); MultiHance (gadobenate dimeglumine); and Prohance (gadoteridol). Reports have identified the development of NSF following single and multiple administrations of the gadolinium-based contrast agents, with Omniscan as the most commonly reported agent, followed by Magnevist and OptiMARK. Bayer Schering Pharma, Berlin, Germany, manufactures Magnevist; GE Healthcare, Chalfont St. Giles, U.K., is the maker of Omniscan; OptiMARK is manufactured by Mallinckrodt, Inc., Hazelwood, Mo. ; and ProHance and Multihance are made by Bracco Diagnostics Inc., Princeton, N.J.
Just a few weeks after the FDA's black box warning was issued, the mother of a 24-year-old Ohio man who died in August 2004 after receiving his second injection of the drug Magnevist, filed a lawsuit in U.S. District Court against Bayer, the manufacturer, claiming the gadolinium-based contrast agent caused her son's death. By June 30, 2009, Bayer had been served in a total of 317 lawsuits involving Magnevist, its gadolinium-based contrast agent. Four other contrast agents are also involved in gadolinium litigation. Bayer reached agreements in principle with many plaintiffs in the U.S. to settle their claims, saying it will continue to consider the option of settling individual lawsuits on a case-by-case basis. Bayer has taken accounting measures and is insured against product liability risks to the extent customary in the industry. Bayer's 2008 annual report states the following: "All cases pending in federal courts have been consolidated in a multidistrict litigation (mdl) proceeding for common pre-trial management. Bayer believes that it has meritorious defenses and intends to defend itself vigorously. Based on the information currently available, Bayer has taken accounting measures for anticipated defense costs." If you or a loved one has suffered health problems as a result of gadolinium given during an MRI or MRA, please click the link below to send your complaint to a lawyer to evaluate your claim at no cost or obligation. Lawsuit against General Electric over MRI Hea..
Over the past 10 years I've probably had 7 MRIs total. I can't even remember how many exactly. I have what feels like bugs under my skin, headaches, trouble remembering things, buring in my back ..... recently diagnosed with fibro. I suffer from numbness and tingling in my hands which cannot be attributed to anything. I have had to get 3 more MRI,s in the last 3 month sense I contacted you the first time and now I have bad headache and not able to concentrat. I have multiple contrast with MRI's because of sciatica nerve was pinched and from 2012 I have had back problems scene then I had to have surgery in October of 2016,I have been diagnosed with fibromyalgia, sciatic, IBS,and nerve damage in my right shin is num,and migraine suffer. I have had 3to4 contrast with in couple of months for 7 yrs. I just had an MRI last week. When the gadolinium was injected it didn't go into my bloodstream because the IV had slipped out. Instead it went directly into the tissue of my arm. Did this put me in danger of future medical problems? The MRI tech was extremely apologetic repeatedly. I'm worried to death now. Can anyone tell me what I should do or what I should be looking for as far as health concerns? Please? I have had serious muscle weakness in my knees and legs that have caused me to tremble and fall. I have had serious pain in several areas throughout my body. I have a lot of muscle pain. I have had shakiness, where I begin to twitch and shake, which also causes me to fall randomly. I had 6 MRIs with dye and 6 without dye over the course of 2 months. I cannot move freely like I once did. I also cannot get out of my bed without fear of falling and seriously injurying myself. Kidney failure, dialysis and transplant that has effected my quality of life. Since the injection I have elevated liver function, burning, its painful to walk and a multitude of symptoms I have never had before. The doctors deny that it was caused by the injection even though I have never had any health problems before. I have had numerous tests, and no other factors have been found to have caused this. The doctors proscribed an MRI with contrast when it was not needed, and now that I have these symptoms they refuse to help. My mom went in to our local hospital complaining of chest pain to our local hospital, upon there they felt she needed an angiogram, they then transferred her to Santa Barbara cottage hospital. She was never told what kind of damage the contrast would do to her, a few weeks later, my mom no longer had kidney function, she had almost fallen into a coma. It was discovered the dye had caused her this problem. My skin feels tight and leathery on my upper arms and breast area in patches. My legs feel very weak and when I stand they are wobbly. These troubles only began shortly after the MRI injection. This has greatly affected my mobility and independence. I am on pain medication and am not able to get around like I used to. Now that I have had my thyroid removed, in about 6 weeks I will have to take Radioactive Iodine Capsule treatments to kill all the other cancer cells that are in my body. My doctor said I have been exposed to a high level of radiation, and asked if I knew where I could have been exposed to it. I was once a truck driver and hauled some hazmat material, but I lost that career in 1988 due to back problems. In 1988, I had the first cervical back surgery, and I had to take MRIs and x-rays. Starting in 1999, I started having lower back problems. I had more tests during this period. From 2001 to 2002, I was exposed to so many MRIs, x-rays, mylograms, discograms, 3 back surgeries - all within a 13 month period. I thought I was being put through too much, as well as my friends and family, but I was doing what the doctors said to do. We all thought I was being exposed to to much radiation. In 2005, my wife and I were in a wreck, I had multiple x-rays and MRIs. The last MRI showed a pocket of fluid that the orthopedic said was on my spinal column. He sent me to a neurosurgeon and he said it was not on the spinal column, but did not know what it was. I saw my general surgeon who found that it was on my thyroid. He tested the fluid and it was benign. I went back every six months, this last time, it had become a goiter and consumed my thyroid. When he went in to take it out, he tested the tissues and found papillary cancer cells in the tissue, thus, he had to remove the entire thyroid. Now, I have to take treatments in a few weeks to kill all the cancer cells that are in my body. My wife told him about all the tests and exposure I was put in during those 13 months with back problems, and the year after the wreck. She asked him if being exposed to all these MRIs (some with dye and contrast) and x-rays, steroids, etc. would have caused it. He said it could because I had surely been exposed to a high level of radiation from somewhere. My doctor said he caught it in time and I am thyroid cancer free, but I have to go through the treatments to take care of all the papillary cancer cells inside my body they found in the tissue. I hope we have caught it in time, and I will be completely cured with my treatments. Now, I am afraid all this radiation I was exposed to by doctors and specialists with MRIs, x-rays, etc. have cause a cancer problem. I do not know, but it came from somewhere, and I would like to know for sure where. Now my wife is afraid since she has had 5 MRIs since the wreck in 2005, as well as x-rays, having 2 MRIs from January 2007 to April 2007 of this year. Are doctors doing too much with all these radiation tests? Something happened to me, and now I have to deal with cancer cells that must be killed off. I am scared. Had to call 911 and go to ER, have had several medical problems since,including a skin disorder. My face was extremely swollen for almost a year, I went to several doctors who thought i had an auto-immune disease. I even had a biopsy because they thought I had a tumor in my jaw. I developed painful skin rashes (which I still have 3 yrs later) just havent been very healthy since I had that damn MRI.